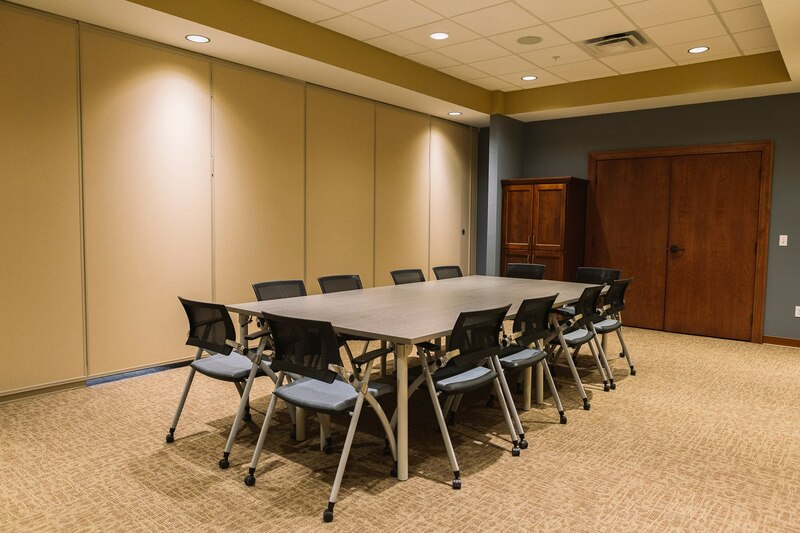 West Lafayette Apostolic Christian Church embarked on a phase 2 design/build/furnish project with Aspen Group that began in 2016. 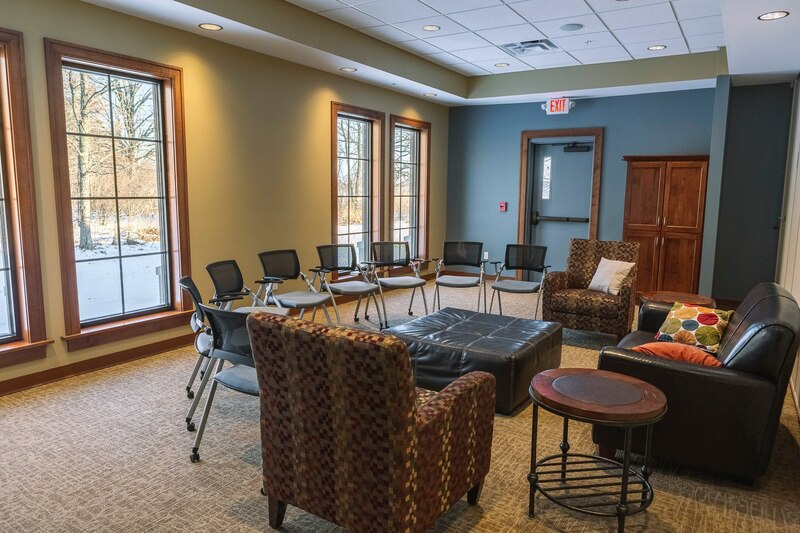 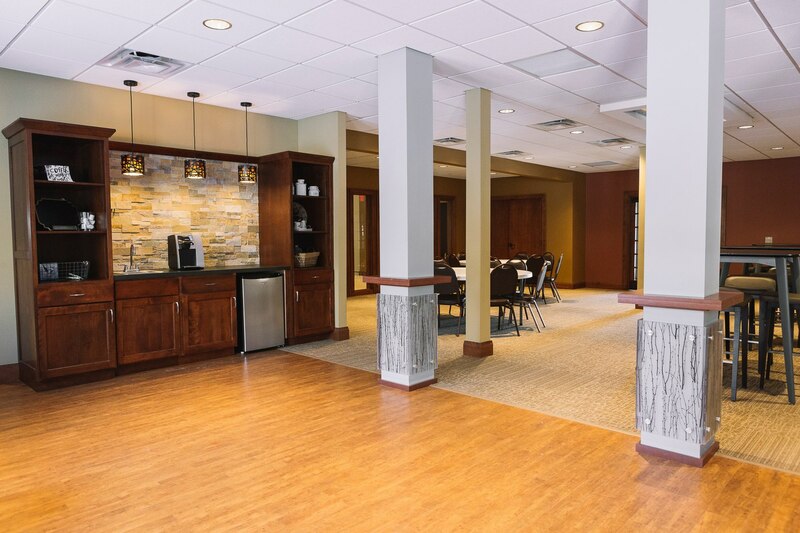 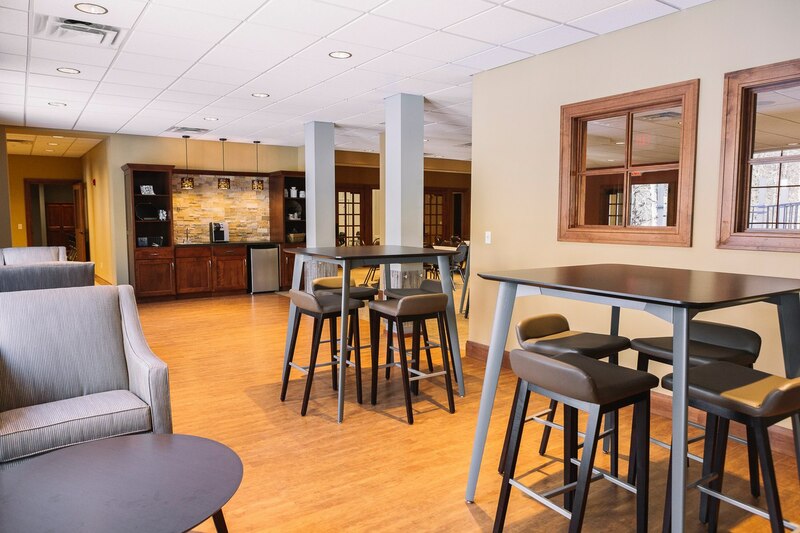 Fueled by the need for larger dining and fellowship space, along with nursery space, and classrooms that allow flexibility and growth for children’s ministry and adult ministry, Aspen Group renovated 5,250 square feet of existing space, added 7,500 square feet of new space, and installed 38 additional parking spaces. 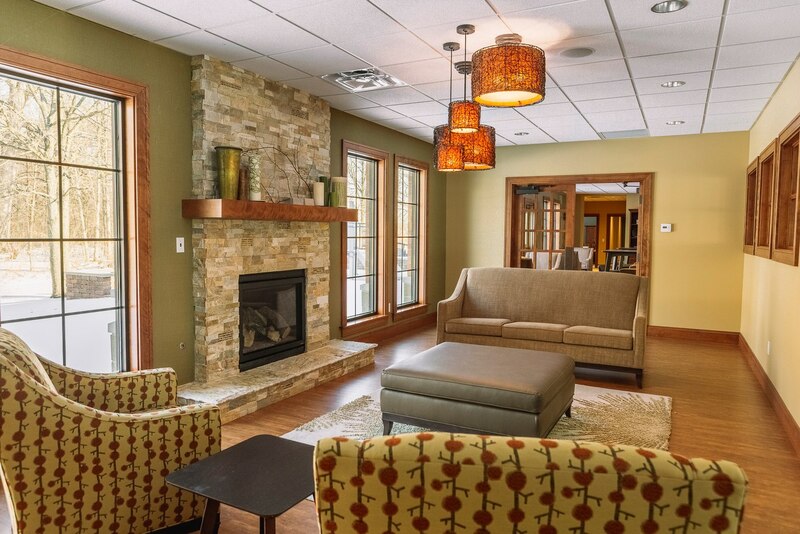 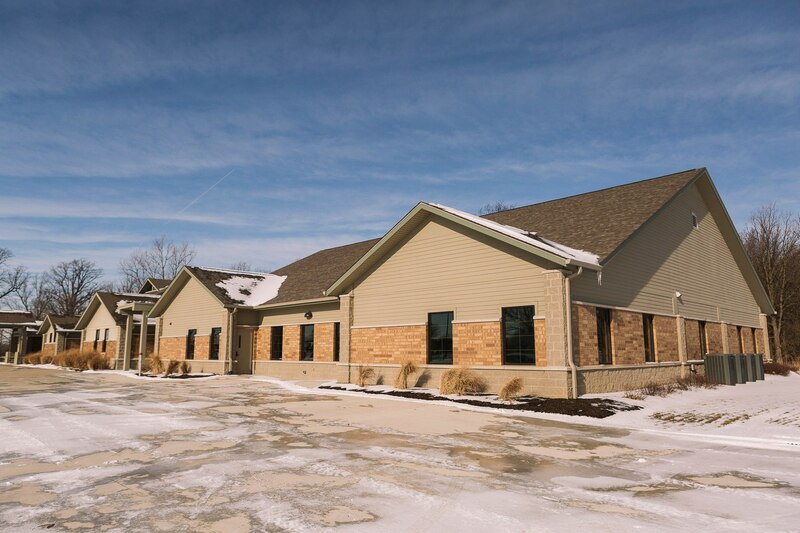 Aspen Group built West Lafayette’s original “green site” church building in 2010. 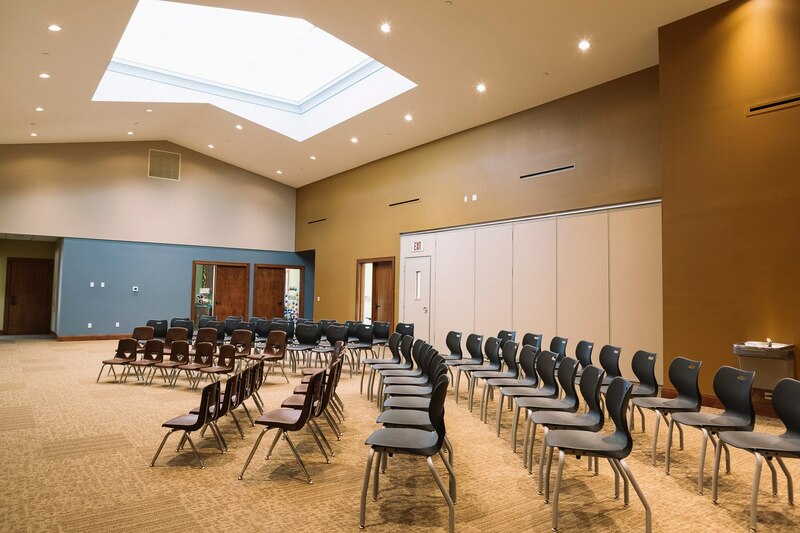 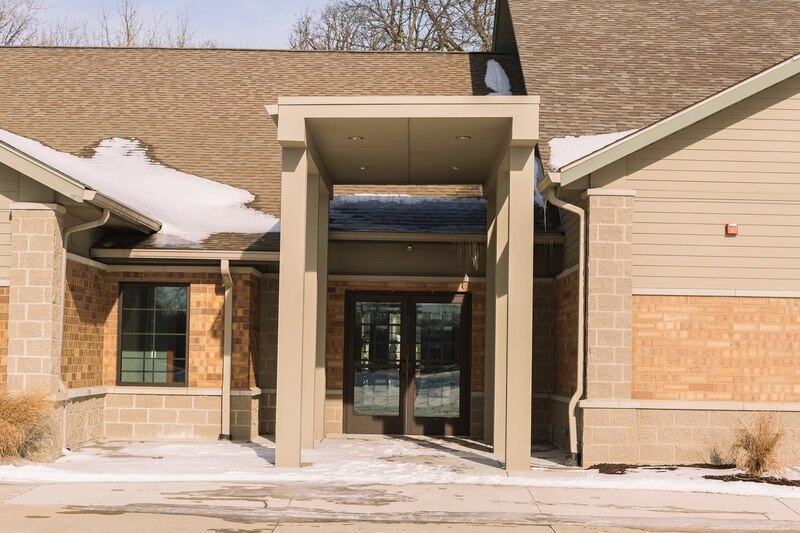 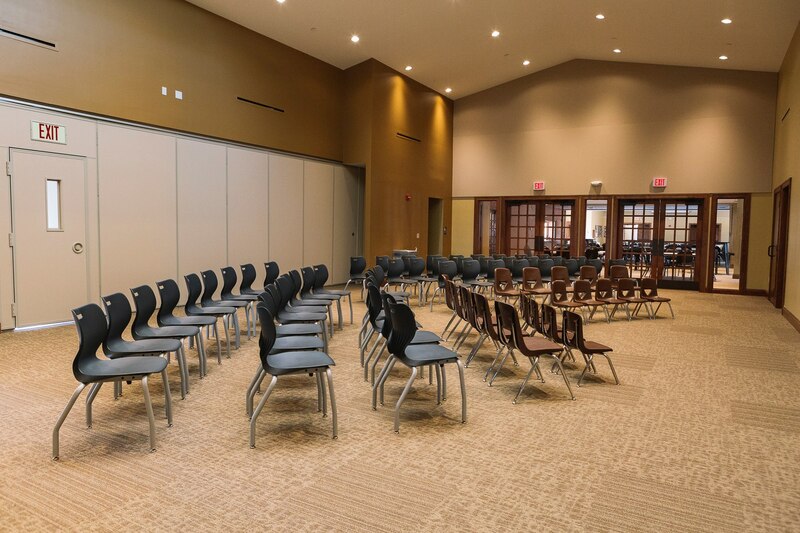 Playing off of the original design, which capitalized on the beautiful wooded site, the church leadership and Aspen’s design team wanted to maintain the views to the wooded areas. 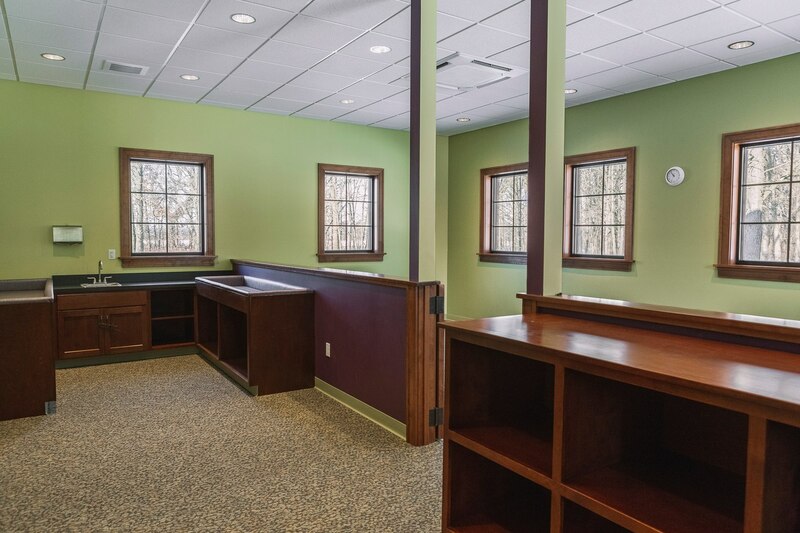 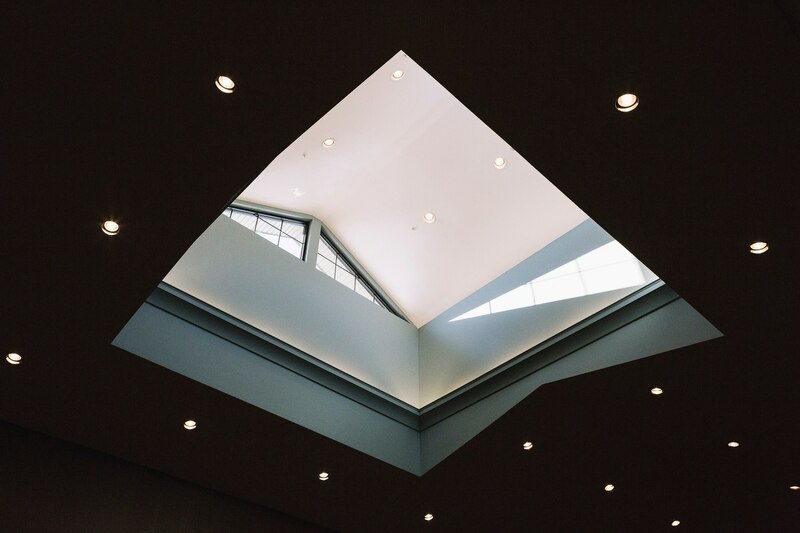 Many of the new rooms feature plentiful natural light. 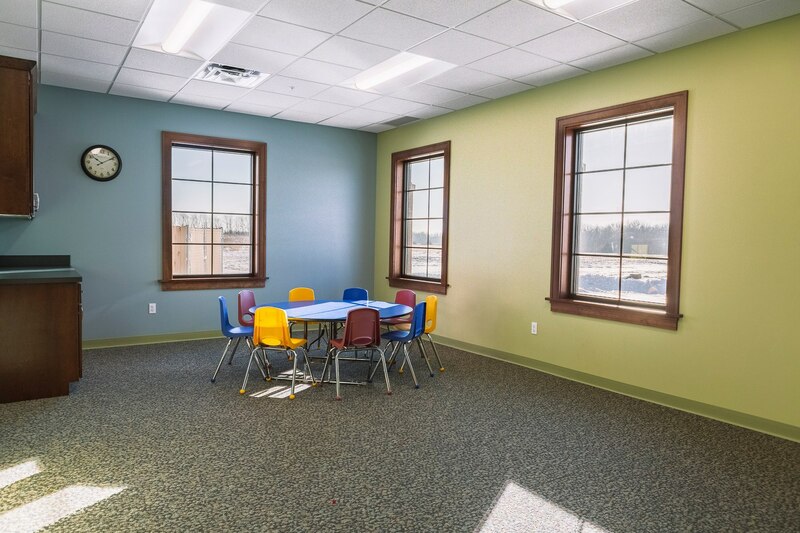 The new dual-zone nursery features a quite zone and a play zone. 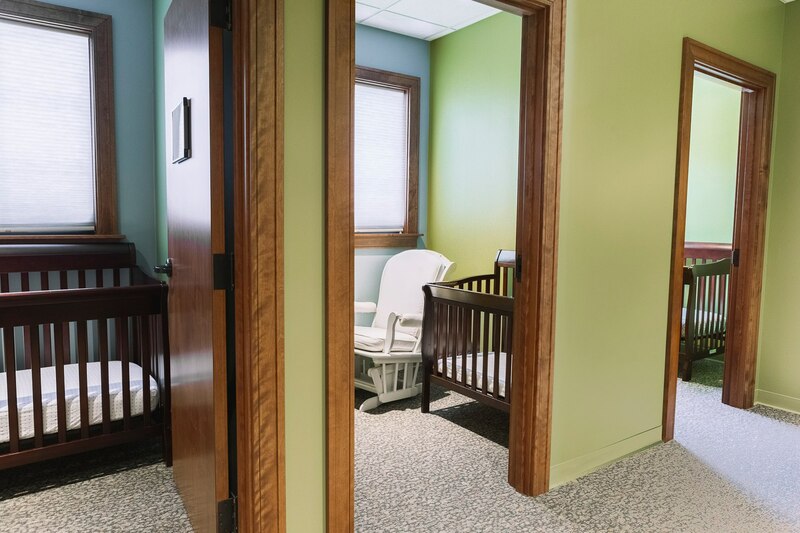 These clear, separate areas allow nursery volunteers to better care for the babies entrusted to them. 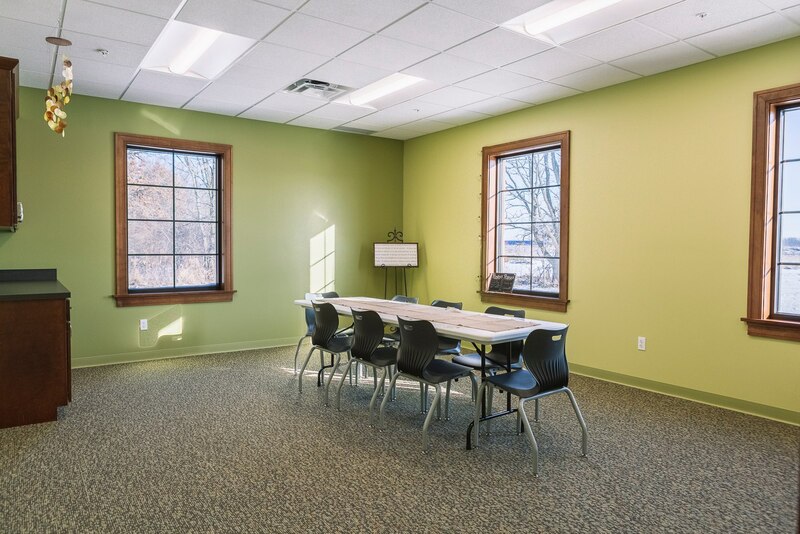 By adding more children’s ministry classrooms, flexible adult classroom spaces and space for increased mission outreach, West Lafayette Apostolic Christian Church is expanding the kingdom and ministering to more children and adults, not only at the church but throughout the community and world.